Composer of serialist, electronic, and aleatoric music. Studied under Gian Francesco Malipiero, Bruno Maderna and conductor Hermann Scherchen at Venice. Began experimenting with electronic music in the mid-1950s. 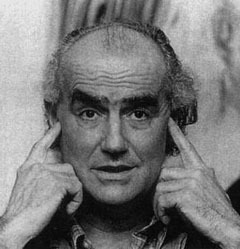 A fervent socialist, Nono relied on political inspirations for much of his music.